Talk to our Tax 2290 Consultants to get your questions answered. Tax consultants are monetary experts who keep themselves updated to the current events to aid their customers with Tax issues. They do tax returns, act as spokespersons in times, give out advices etc. They advise in choosing the right tax form for your business, since they are up-to-date in the federal taxation information and other related news. Of course, they do an effective service, as forgetting to file Form 2290 or pay at time may bring up the tax payer to pay penalties. Tax returns with errors can also be rejected by IRS, which makes you to miss out something on due. So, getting assistance from a tax consultant is really essential. They are capable of advising you on general tax matters that gets changed often based on the status of IRS announcements. The advice could be on your business set up, re-arranging payments or about the income that has to fall into different tax year. Always, a slight tiff prevails between the tax preparer and a tax consultant. The tax preparer mainly works for preparing tax returns, whereas the tax consultant provides multiple helps at a greater extent including filing of Form 2290. In many places, the tax consultant acts as a spokesperson during the concern’s audit. This is because he can manage the financial situation well and can smoothly answer many questions thrown by the inspection team. In all places, the tax expert would have undergone the formal tax education and training in relevant area of taxation laws to be an eligible tax consultant of National Association of Tax Consultants. They will also have professional experience in dealing with many tax projects. With Tax2290, you need not go too far to get hold of a tax consultant. That’s because we already have in store the best of those tax sense rich consultants, especially when it is about Heavy Vehicle Use Tax. The Form 2290 e-file application we have been talking about throughout this website itself has been built upon the advice and insights of our tax consultants and each of the revisions we do to the application also reaches you only via their review sittings. So, you can be sure to easily win over your tax filing challenges with Tax2290. About Us: Easily E-File Heavy Highway Use Tax Form 2290. 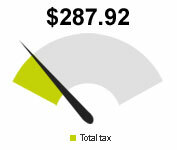 Secure Heavy Highway Road Tax Form 2290 Filing Online… only at Tax2290.com. Tax2290.com is an IRS authorized provider for E-File of Federal Heavy Vehicle Use Tax Form 2290. We are a web-based provider for Heavy Vehicle Highway Road Tax Form 2290 Online Filing. We provide 24/7 customer service through email and chat on all issues pertaining to Heavy Vehicle Highway Road Tax Form 2290 Online Filing. E-file your Heavy Highway Use Tax Form 2290 returns online and get your Heavy Highway Road Tax Form 2290 Schedule 1 copy, instantly. Get started now with us and Tax2290.com will guide you through the process for easy Heavy Highway Road Tax Form 2290 filing online. We are here to help if you have any questions regarding E-File of Heavy Highway Use Tax Form 2290 returns online.